We are privileged to have a unique window into the lives of a diverse range of individuals and communities in need. It is our responsibility to make sure that their stories shape and inform the dialogue within the broader social impact community. HOW CAN DESIGN CONTRIBUTE TO GLOBAL HEALTH? We collaborated with Rockefeller Philanthropy Advisors and the World Bank to understand people’s journeys and experiences with identification systems in Indonesia, including with the e-KTP, the KK, the birth certificate and government service cards, among others. Using HCD research focused on extreme and outlier users, we developed recommendations for improved national ID systems and suggested directions for additional research. HOW WOULD FARMERS MEASURE THE IMPACT OF FINANCIAL SOLUTIONS? 프로그 디자인 출신 로버트 파브리칸트(Robert Fabricant)와 라비 차트파(Ravi Chhatpar)는 달버그 세계 발전 자문단(Dalberg Global Development Advisor)의 안정적 기반과 전문적 자산을 디자인과 접목해 사회에 긍정적인 변화를 가져 오고자 파트너쉽을 맺고 사내의 독립된 조직으로 디자인 임팩트 그룹을 설립했다. 개발도상국의 균형 잡힌 발전과 투자를 추구하는 달버그는 디자인 임팩트 그룹의 인간 중심 디자인 방법론을 통해 사회 변혁에 주목하는 디자인 컨설팅을 제공하고 있다. In this article Ravi reflects on the farmer persona human-centered design exercise at the Cape Town Learning from Rural Clients workshop in November 2015, and provides a mini treasure trove of HCD tools and resources, from personas and journeys to ideation and prototyping. In this article, Vivian Li from Tradecraft includes Dalberg Design as one of the 16 noteworthy agencies that produce incredible work today, yet they’re harder to surface and difficult to qualify as an agency because of the nature of their work. Vivian explains why each one deserves recognition and provides examples of their best work. In this post on the Huffington Post Green Blog, Robert Fabricant and John B. Thomas discuss the violations of human rights inherent to the fishing industry today, and offer some promising ideas for intervention to contribute to a more sustainable food system and improve the lives of fisherfolk. In this post on SSIR, Robert Fabricant offers an ethical framework to bridge the worlds of startup technology and international development to strengthen cross-sector innovation in the social sector based on nine principles that UNICEF and other development sector actors developed and adopted. In this article published in MIT Innovations journal, Michael Mori and Trevor Zimmer assess the demand for mobile financial services and branchless banking (MFS/BB) among poor Indonesians and suggests how businesses should design and market financial products to incentivize adoption. It also evaluates the factors that regulators should consider when designing MFS/BB regulations. In this opinion piece on Wired, Robert Fabricant offers his reflections on the rapid consolidation of the design business in 2014 and makes the case for a healthy, independent design practice to tackle broader social issues that do not fit within a single corporate mandate. CSR is generally viewed as a way to “give back” to communities that a business operates in. What happens when you reverse that model and place these investments at the front-end of your corporate innovation strategy? In this post on HBR.org, Robert Fabricant discusses an approach to social innovation that can drive both new opportunities and new behavior within your organization while achieving social impact? In this post on HBR.org, Robert Fabricant examines Facebook’s acquisition of WhatsApp in light of the increased importance of user experience as an increasingly valuable resource online. He applies on the concept of “option value” first applied to the oil business to the mobile tech industry in emerging markets. In the MIT Innovations Journal, Ravi Chhatpar and Robert Fabricant explore how design in emerging markets can address the dual challenges of textual and technical literacy and move to a more robust concept of fluency that encompasses a broader set of contextual and cultural factors into design decisions. In this article for the Rotman Management Journal, Robert Fabricant introduce a framework for building a powerful innovation capacity within your organization and ways to measure how innovation adds direct value to your core business. Community health workers (CHW's) are the last mile in public health and critical to achieving the Millennium Development Goals. Yet many in global health view CHW’s as inadequate replacements for trained health professionals. In this post on SSIR, the authors provide a framework that places front line workers at the center of program design strategies, strengthening their role as a vital link between communities and the health system. In this post for Core77, a leading forum for designers, Robert Fabricant shares three of the most vital things to understand about the field of social design: "avoid the Big Idea trap", "respect the practical bits" and "a fresh perspective will only get you so far". 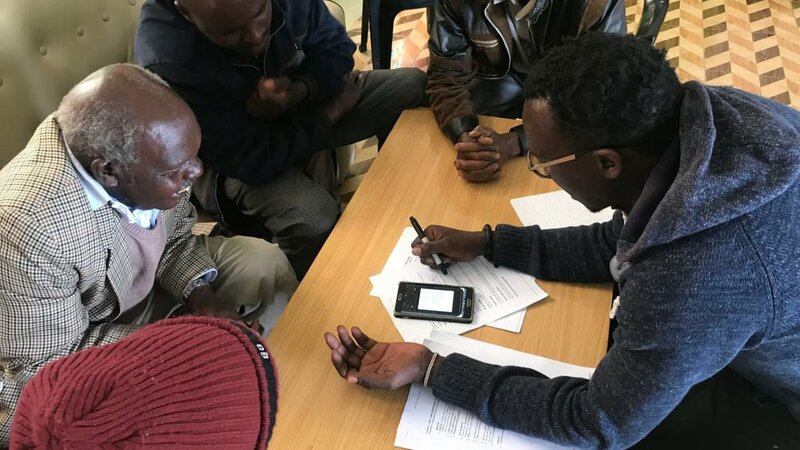 When applying human-centered design to financial inclusion, it’s often revealing to look to informal solutions to better understand gaps and opportunities in formal systems. While these insights about the mechanics, agility, trust, and intimacy of savings groups suggest compelling opportunities for mobile innovation, the DD team looks at how past experiments to bring technology into these contexts have often fallen short and further explores new strategies. In this interview for Fast Company, Robert Fabricant discusses his work to design new solutions to improve health outcomes in the developing world, but why he never calls it "giving back." In this interview on the Impact Design Hub, Robert Fabricant discusses the challenges and opportunities for designers working in social impact and why he founded the Design Impact Group at Dalberg.